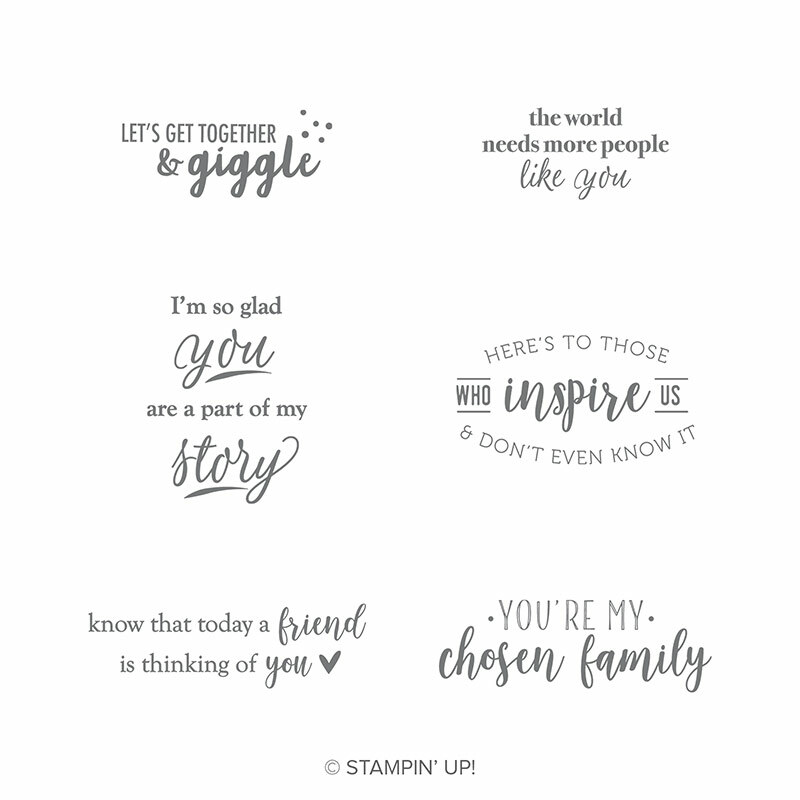 Inkstampshare: Let's Get Together And Giggle ! - Saleabration Challenge! 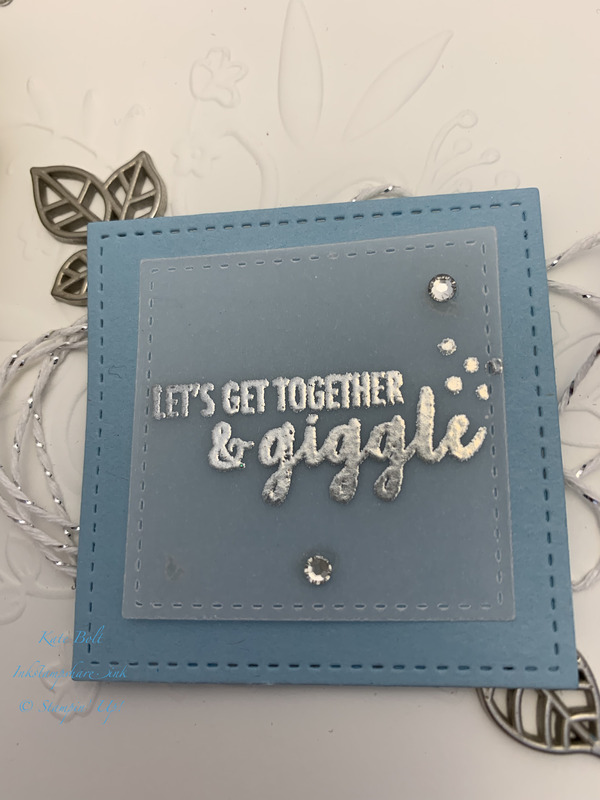 Let's Get Together And Giggle ! - Saleabration Challenge! Lets Get Together And Giggle! There are lots of lovely sentiments in this set, it's definitely a keeper for me and I will be using it long after Saleabration is over. 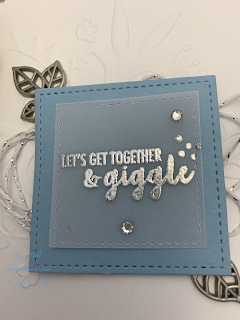 I had been heat embossing on vellum last week and wanted to incorporate it on this card too. I wanted to keep it clean and simple with a lot of white and a little of one colour and this is what I came up with. Balmy Blue card layer. 14.3 cm x 10 cm. A couple of silver Leaves Trinkets tucked behind. I think it's the perfect card to pop in the post to a friend you need to meet up with. 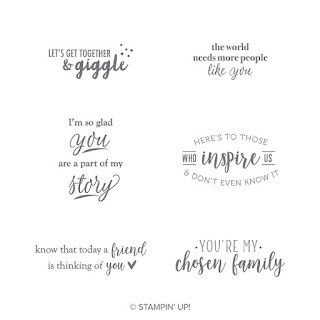 This stamp set is called Part Of My Story and it's free ! There are so many lovely items in this year's Saleabration. 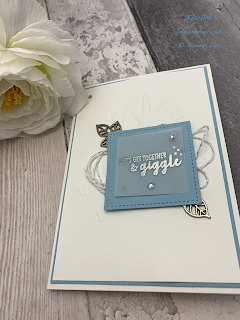 Do hop over to the Inspire Create Challenge #036 here to see what the rest of the talented Design Team have come up with for the challenge and see how they have used some of the lovely items on offer in Salabration too. The new Spring Summer catalogue is in full swing!! It's full of beautiful, fresh, spring colours and is stuffed full! Do let me know if you would like a copy wont you! Such a simple but beautiful card Kate.